Add flossing to your daily dental routine and you’ll experience a cleaner, healthier smile. Most people either forget about flossing or put it low on their list of priorities because they are unaware of the importance or unsure how to do it correctly. But flossing helps clean the gaps between your teeth so that you're less likely to get gum infections or cavities from bacteria build-up. And with improved dental health, you may avoid the large bills that come with expensive dental procedures. Brushing cleans the surface of your teeth. You need to floss in order to clean out the gaps between your teeth, where bacteria often reside. If you don't floss, you're more likely to have plaque build-up, which can lead to cavities, tooth decay, and gum disease. If left untreated, gum disease can be a risk factor for heart disease, diabetes, and a high body mass index. In addition, bacteria can cause bad breath and having food or debris between your teeth can make them look less clean or white. Thus, flossing can help improve the appearance of your mouth as well as your dental hygiene and overall health. It's more important to take your time and floss correctly than it is to floss often. If you floss several times a day, but do it quickly, you'll miss a lot of the bacteria and debris you need to clean out. This defeats the purpose of flossing. It's far better to floss only once a day and do it slowly so that you clean your entire mouth. Of course, it's still important to floss regularly; if you don't floss at least once a day, you won't reap all the benefits. If you or your child currently wears braces, flossing is even more important. Food and bacteria can easily lodge underneath braces and cause permanent damage to teeth. However, you have to be careful when flossing so that you don't damage your braces. There's a specific technique you should use when flossing your braces. If your children have braces, you may need to help them with it, as it requires a bit of coordination. Start with the teeth at one side of your mouth. 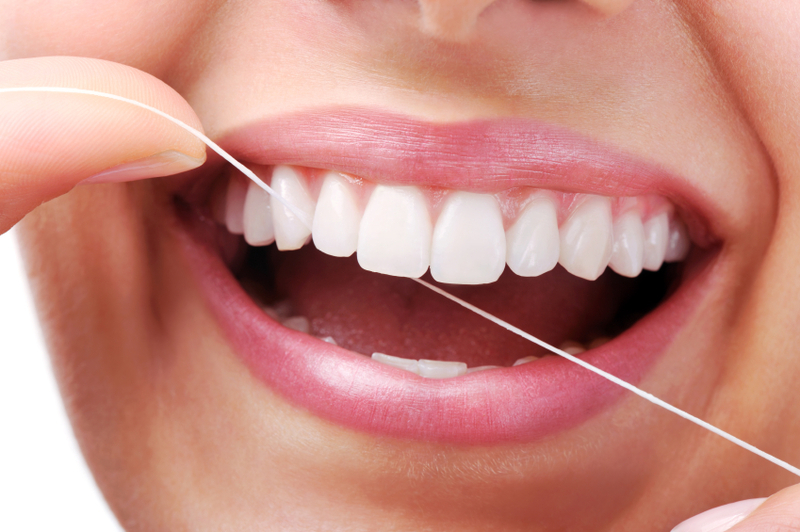 Carefully thread the floss underneath the wire and between two teeth, then gently pull up and down. When you have flossed these two teeth, remove the floss from under the brace wire and throw it away. Repeat this procedure on the next two teeth. It may take a long time to floss using this method, but it’s the best one to use because it reduces the risk of breaking your braces. Some people falsely believe that you can't floss if you're pregnant, nursing, or wearing braces. In reality, there's a technique and material for everybody who wants to floss their teeth. Talk to your dentist about proper flossing techniques if you have any concerns.